We are looking for a fee earner/ paralegal to join an established firm in Warrington. The right candidate must have at least 3 years experience of property recovery, Credit Hire and subrogation claims in an RTA Claimant Department to deal with litigated and non-litigated small and fast track claims. 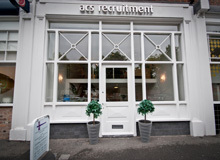 Previous experience with an RTA Insurer or Broker desirable but not essential. The role involves working in a supportive team environment, using an established case management system.